If you want to feel a million miles away from everything then take a trip to the Mushroom houses in Charlevoix! We are not kidding when we say it feels like you are transported to a totally different place. As Michigander's it was so strange to be in a place that we have visited several times and feel like we were in another country. Michael the owner renovated all the spaces and really made them something. With a mix of industrial, natural and a bit of Up North coziness - he created a place that feels unlike anywhere we have stayed before. We stayed in the Chalet rental and it was so charming! Its a converted garage so we had a bed & bathroom down in the lower part with our living & full kitchen in the loft portion. It seriously is the perfect getaway spot for a romantic weekend away! The Thatch house is also on the same property and you share a common space so it would be great if you had a big group too! The Thatch house really is something and if you get the chance to see it or stay in it, its amazing! There is SO much space and would be the ultimate house to rent if you had a big group up there! The best thing is that this is right off the main downtown area so you are short walk away from downtown, the beach, marina and park. • Unique is the first word that comes to mind - love different properties and this fit that bill! • The cozy factor that is created with the decor and overall feel of the houses. • Location! Perfect place to rent if you want to be in the middle of everything! • Attention to detail - Michael was able to give us a tour of the houses and pointed out every detail and why he did it. There is so much thought and care that went into this project, it deserves a next level appreciation. 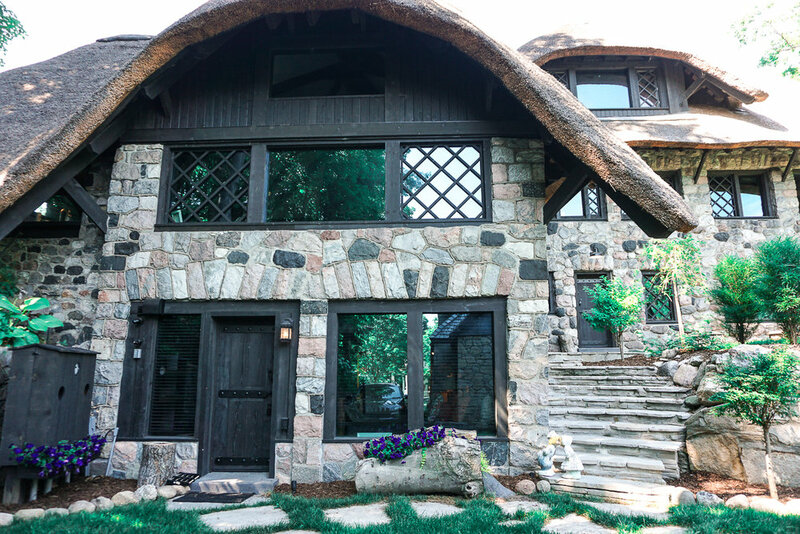 • I felt like a Hobbit and it was awesome - the exterior and interior reminds me of something out of Lord of the Rings and if you know anything about us, we love LOTR! * The quality of the materials - everything inside and out was a thick, high grade wood. It's one thing to have a cool design with cheaper materials but everything in this place looked like it was hand picked from the forest and carved out just for this space. 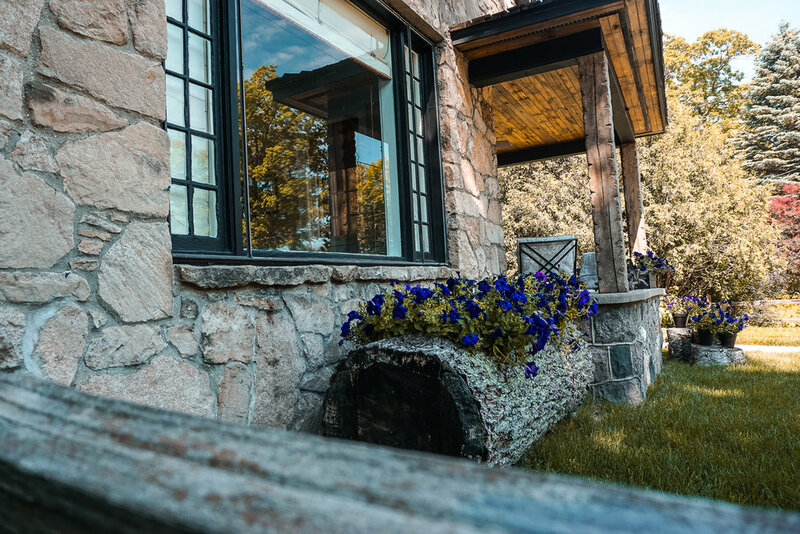 For the most unique experience, a trip to the Mushroom houses in Charlevoix is definitely a bucket list add!